﻿I know... I know... it's not even Halloween yet, and here we are plugging our community Yule event. It's because we really want you to be able to come join us! Not only do we have a beautiful new community ritual (written by the fine folks of Brighid's Forge), but we will have a sumptuous feast and an amazing raffle! But that's not all! We also have a kids area with activities to help keep the kids busy until you-know-who shows up! That's right... Father Winter has promised to stop by for a visit! So while your heart is full at the thought of all that fun, let me help fill your hands up with stuff to bring. 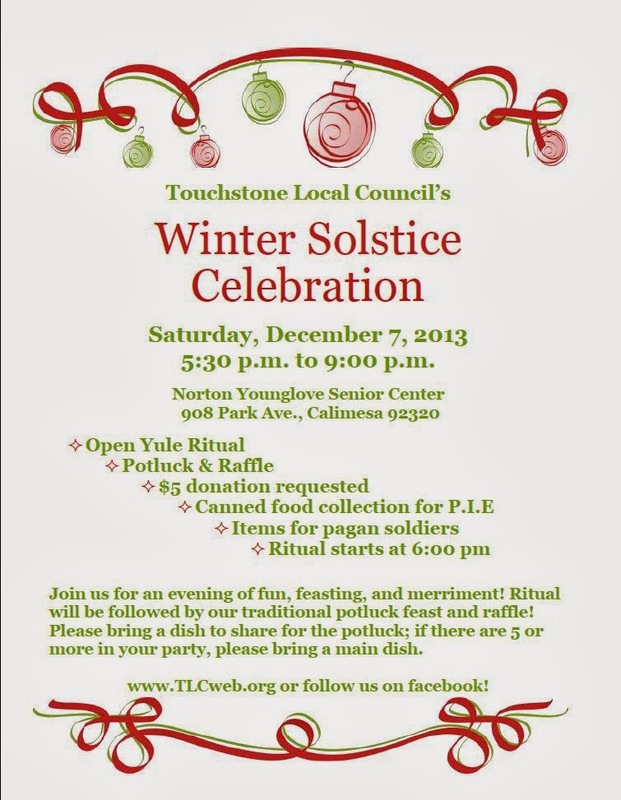 Pagans of the Inland Empire (PIE) is holding a canned food drive and will be on hand to collect your donations. 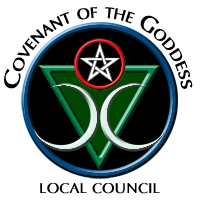 We are also gathering items for Operation Circle Care again this year, so please consider bringing something for our deployed pagan military members. As always, we welcome you're raffle donations and your contributions to the potluck... the stuff you brought last year was delicious! Please say you'll join us! Put it in your calendar now, before you forget! Don't worry... I'll send a few reminders... promise!